Click here for audio of Episode 2036. Today, a remarkable Victorian chemist,and his dark secret. The University of Houston's College of Engineering presents this series about the machines that make our civilization run, and the people whose ingenuity created them. The nineteenth century was rich in scientific genius, some recognized and celebrated, some simply built upon and forgotten. Edward Frankland's work was built upon, and then forgotten by most. The boy's mother named him Edward Frankland and used the annuity to see that he got schooling. But it was a ferocious childhood. He and his mother were outcasts. Both she and his schools subjected him to constant corporal punishment. At fourteen, he was apprenticed to a pharmacist and, for five years, put in 70-hour weeks, at bone-breaking labor -- hauling, wrapping, grinding. Still, talent surfaced: Teachers encouraged him. Local doctors used his few off hours to teach him experimental chemistry, then helped him find an assistantship in an engineering college. Doors began opening. He was taken to Germany where he studied with von Liebig and Bunsen. He worked with Tyndall in London. By 1850, he had a doctorate and he'd begun working in professorial posts. Frankland had an astonishing talent for experiments. He used that ability to expose whole new classes of chemical compounds. But he also had a theoretical sense. He discovered governing rules that underlay chemical combinations. Frankland was a father of the crucially important concept of chemical valence. He also helped to discover just how our muscles consume the energy in food. He began the study of the energy content of food -- our calorie intake. When he was forty, Frankland became London's water quality consultant. London's water, like that in many cities, was filthy. He went at it with patriarchal zeal, and became the world's reigning water-quality expert. He pursued polluters through the courts. It was he who discovered that Hagar's Well in Mecca was horribly polluted, and had caused successive cholera outbreaks among pilgrims there. Twelve years later, the well was closed. So why isn't Frankland better known? Probably because of his illegitimacy. He kept the secret, leaving only a few tortured hints behind. 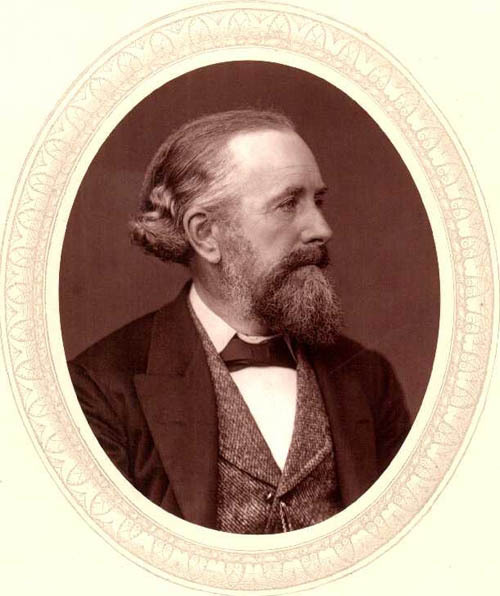 Then, when he died, his dedicated disciple Henry Edward Armstrong was given the task of writing his biography for the Chemistry Society's published Memorial Lecture. Armstrong labored at the task, while he delayed, delayed, and finally let it lapse. Why? Our best guess is that Armstrong had tumbled to the secret of Frankland's birth and feared it would become obvious if he wrote an honest biography. So Victorian mores won out. Today, such a thing would hardly matter; and Frankland's remarkable life, instead of being buried with him, would have been celebrated -- as it surely deserved to be. S. B. McGrayne, Chemistry and the Making of the Modern World. (New York: McGraw-Hill, 2001): Chapter 4. I am most grateful to Russ Geanangel, UH Chemistry Dept., for making Sharon McGrayne's fine book available to me. W. H. Brock, Frankland, Edward. Dictionary of Scientific Biography (C.C. Gilespie, ed.) Vol. V, (New York: Charles Scribner's Sons, 1974).